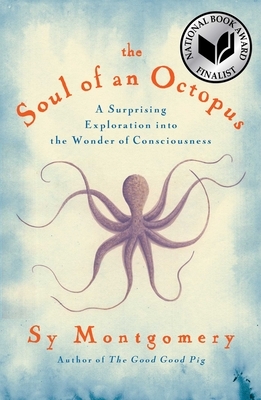 The Soul of an Octopus: A Surprising Exploration into the Wonder of Consciousness (Hardcover) | Eagle Harbor Book Co.
Can an octopus have conscious thoughts? Can it play, make friends, show emotions? It turns out that these odd, slimy creatures are extraordinarily intelligent animals with personalities, and, in captivity, develop personal relationships with people. Montgomery captures the spirits of the octopi she befriends at the New England Aquarium. Whether an octopus has a soul is up for debate, but what it can teach us about ourselves and our relationship to others is profound. Put down your skepticism and pick up this book—you’ll be amazed. It has changed my attitude toward animals in general, but especially the comely octopus!